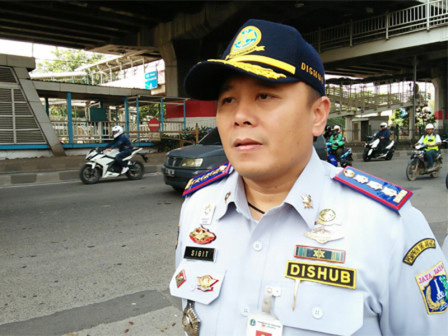 Jakarta Transportation Agency is about to apply traffic engineering in a bid to smoothen one-way traffic in Dukuh Bawah area or Landmark on February 12-26, 2019.
" We'll socialize it on January 28-February 11. It will officially operate on February 27"
From south side, it will be set from east to west. While the west side, it is set up from south to north. Then for north side (Jalan Galunggung), it will be set up from west to east, from Jalan Galunggung (west side) intersection until Jalan Galunggung (east side/Setiabudi Barat Reservoir). Vehicle is prohibited to turn right from east (Jalan Setiabudi Tengah) towards north (Jalan Galunggung) at Setiabudi Tengah intersection and traffic closure will be applied or access from Jalan Sudirman towards Dukuh Bawah. Jakarta Transportation Agency Acting Head, Sigit Wijatmoko said that it will be applied at 9 AM. "We'll socialize it on January 28-February 11. It will officially operate on February 27," he told, Sunday (2/10). "Therefore every driver must obey the traffic rules and officer's direction in the field for personal safety," he stressed.